On Tuesday, JD Weatherspoon cut the branch it was sitting on by announcing they were going to quit social media. For a business that boasts the free use of WIFI in their pubs, this decision is, well, weird. Tim Martin, Chairman of JD Weatherspoon said: “It’s becoming increasingly obvious that people spend too much time on Twitter, Instagram and Facebook, and struggle to control the compulsion.” Arguably, we do spend too much time on social media, especially as marketers. But is one British pub chain taking a stand going to change this? Absolutely not. Customers are going to consume other content rather than give up on social media completely. Weatherspoon’s problem may have simply been that they have never really embraced social media strategically. “We were also concerned that pub managers were being side-tracked from the real job of serving customers.” Social media is extremely important for businesses, but it should not be a distraction from other duties. Understandably, each individual chain has different events and updates to share with its followers. Solely relying on pub managers to create posts is not ideal. By using available software, posts can be created and scheduled in so that other duties aren’t neglected. A queue can also be created so that audiences have a constant stream of content to bite into. As a well-known brand, Weatherspoon’s had a lot of audience interaction. Not all of it was positive. Complaints and poor reviews in a public domain are undesirable for any business. Giving in and deleting social media is not the answer. Weatherspoon’s had an excellent opportunity to twist public perception by responding to complaints and resolving them quickly. They also had an advantage of learning about their customers and what it is they do and don’t like. Had they used customer interaction well, they could have risen above the competition and improved their business by improving customer satisfaction. This isn’t the first time the franchise has gone ‘against conventional wisdom’. With GDPR coming in May, rather than comply with the regulations they decided instead to delete their entire email database. While the email campaign stunt may have been a success, breaking digital conventions shouldn’t become a norm for the franchise. A digital presence is important and constantly contradicting the platform for a few days press is a mistake. Adults in the UK spend an average of 2 hours and 53 minutes on social media per day. A smart social media marketing strategy would take advantage of this, rather than criticise. Social media can be time consuming without the use of appropriate software. 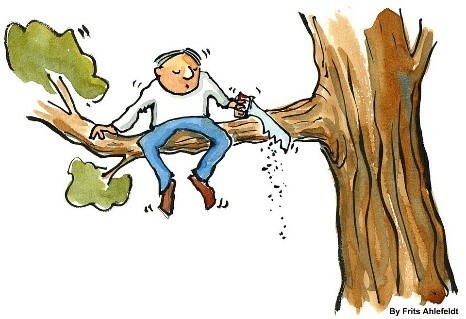 If your audience is on social media, it’s may not be best to cut the branch you’re sitting on. If you need help managing your social media, contact us today via our email or call us on 02920 813 272. Are you winking in the dark? Exhibitions – an opportunity not to be wasted. Do you know what value means to your clients?